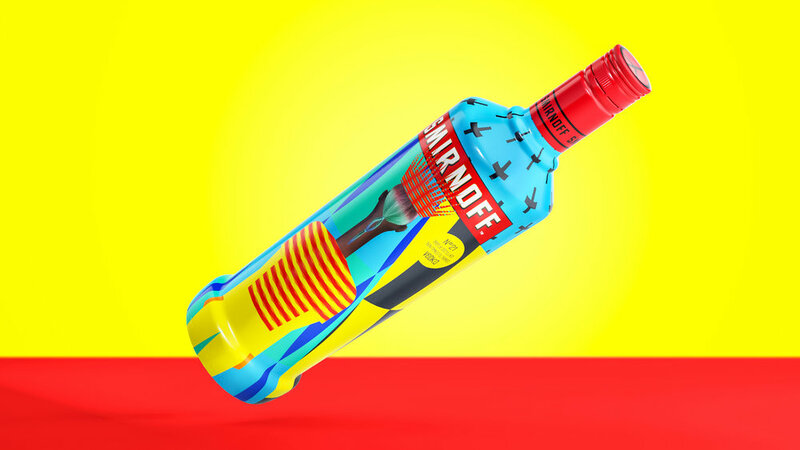 Package Design: Yarza Twins collaborated with HP and Smirnoff to create these swanky package designs which were made using the free beta software which HP released recently. 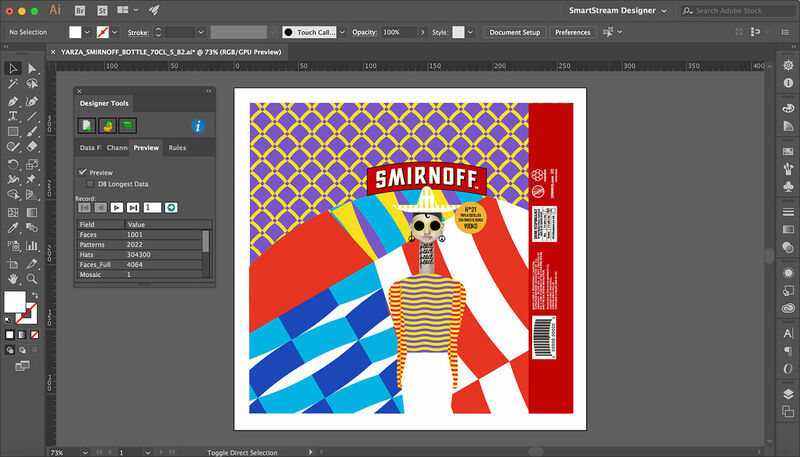 The software is Smartstream designer for Designers(D4D). 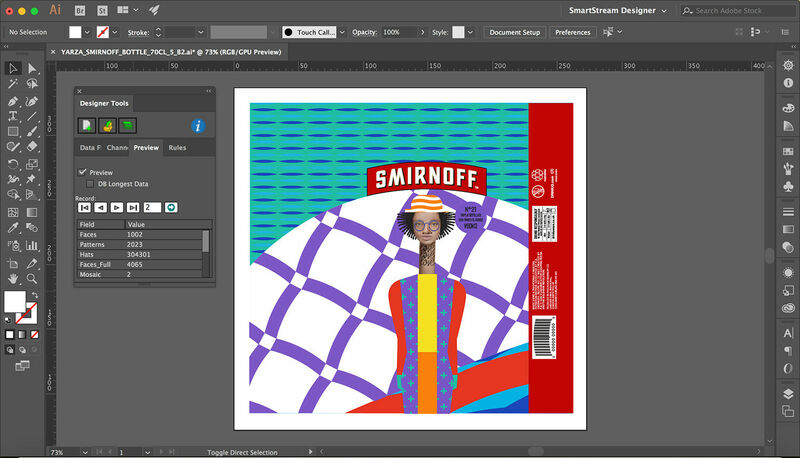 This beta software is available for a limited time. 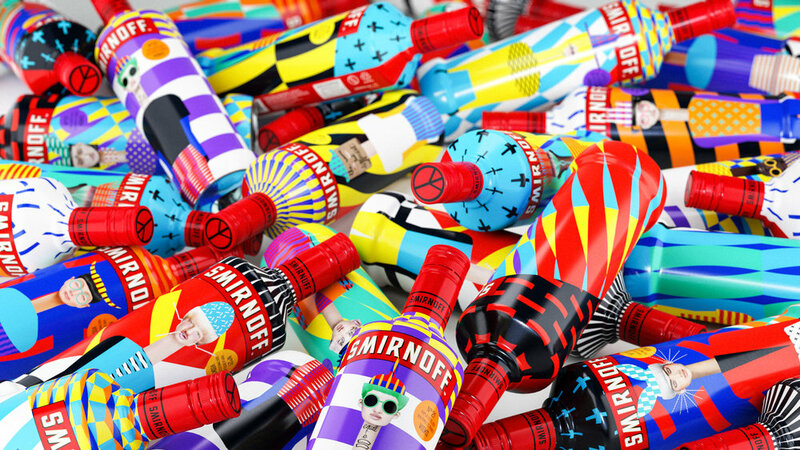 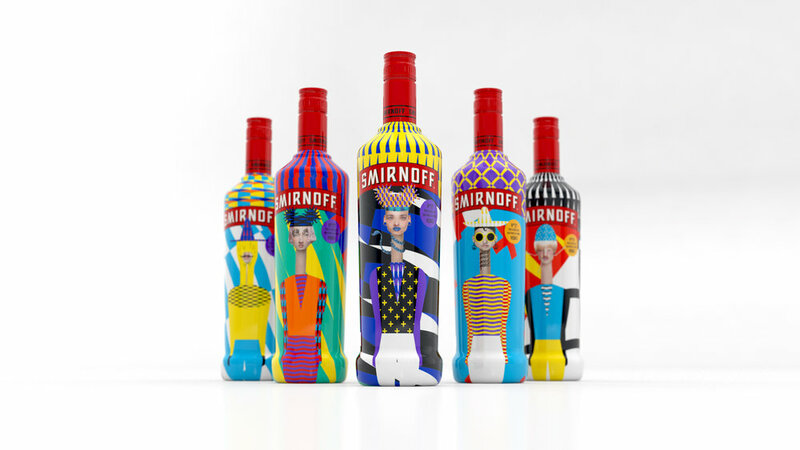 Using this D4D, Yarza Twins turned bottles into artwork. 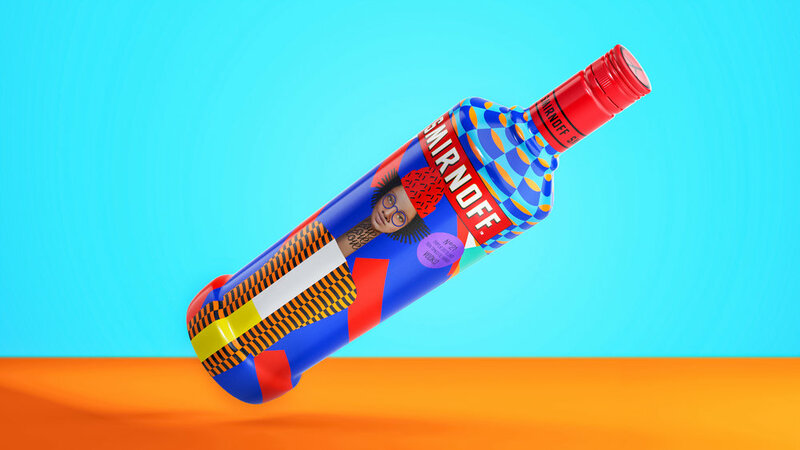 According to Yarza Twins,"These bottles were printed with Indigo using 7 colours: CMYK, Orange, purple and green, allowing a colour palette that covers about 90% of Pantone colour range and making them look pretty similar to our project in RGB on the screen. 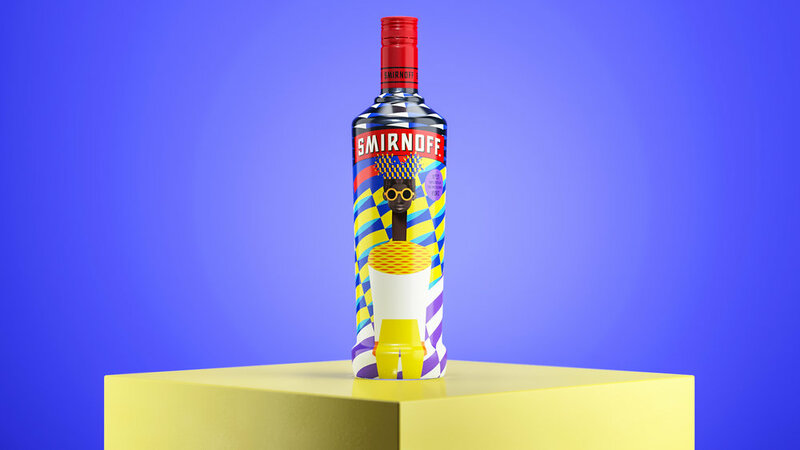 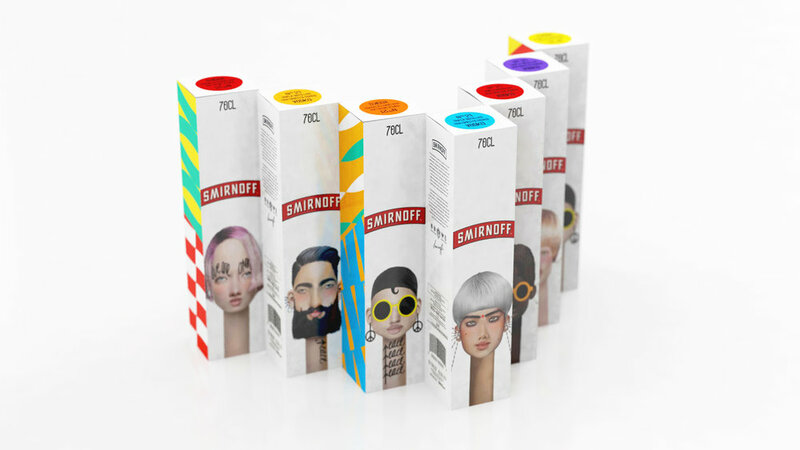 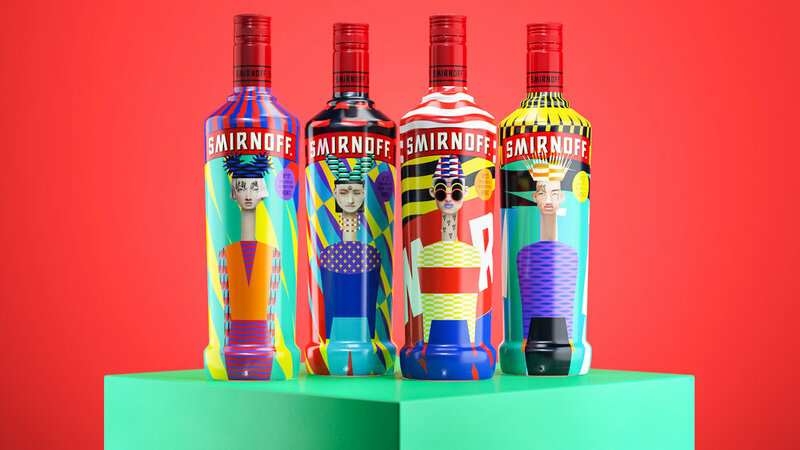 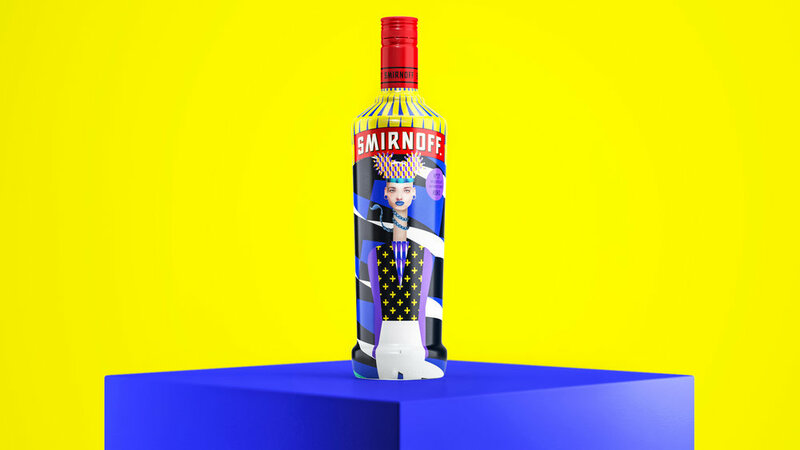 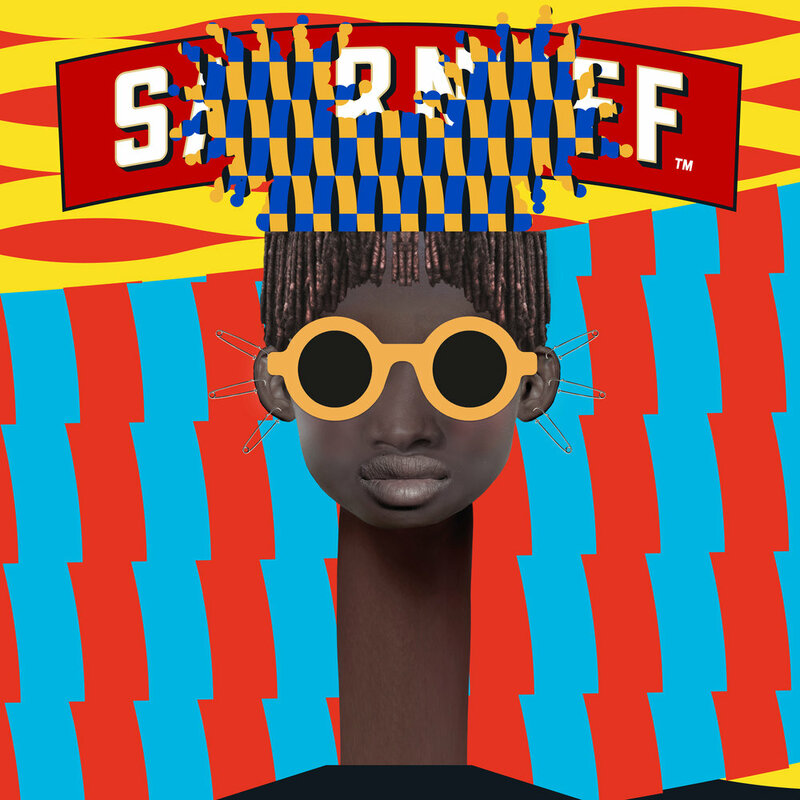 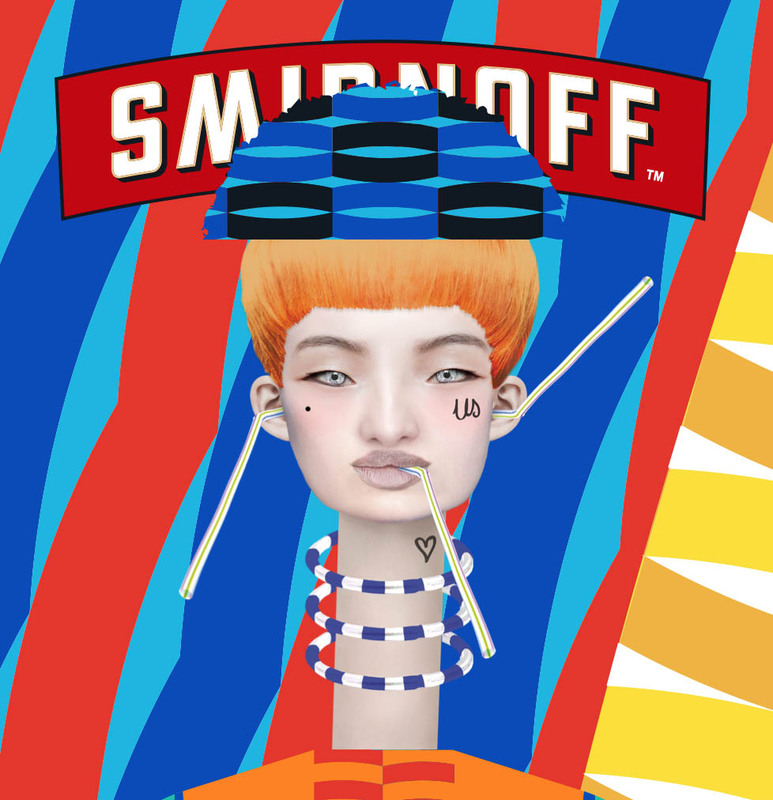 We created more than 900 bodies and hats that would swap 9 colours, 21 different faces that represent diversity and 21 patterns made entirely from the shape of Smirnoff's iconic eyebrow logo all this combined created the special edition bottles, posters, t-shirts, tote bags etc. 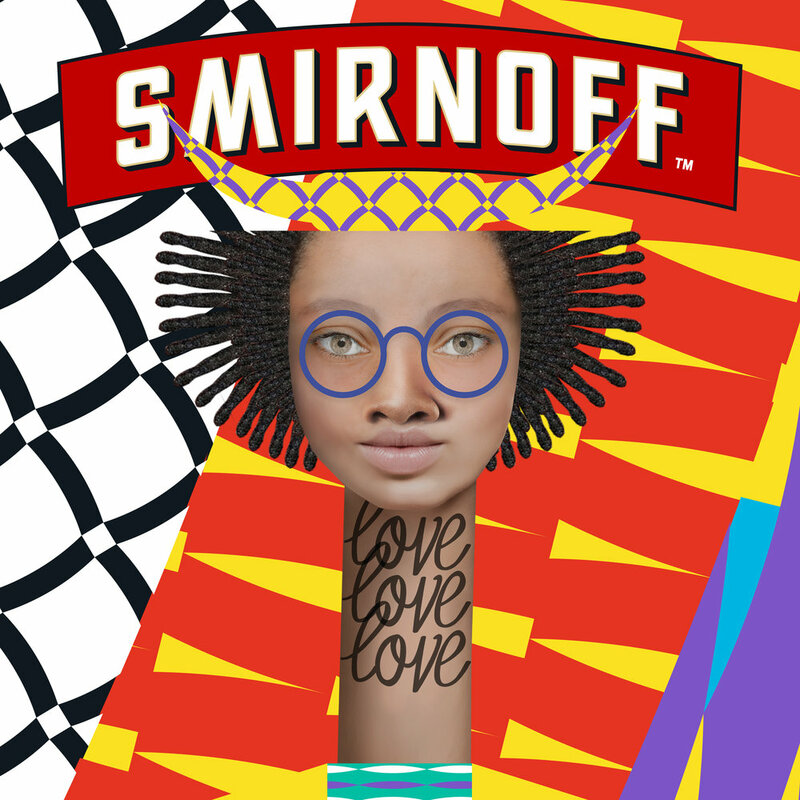 The project ended being an explosion of colour and shapes that represented the diversity in our world living in harmony". 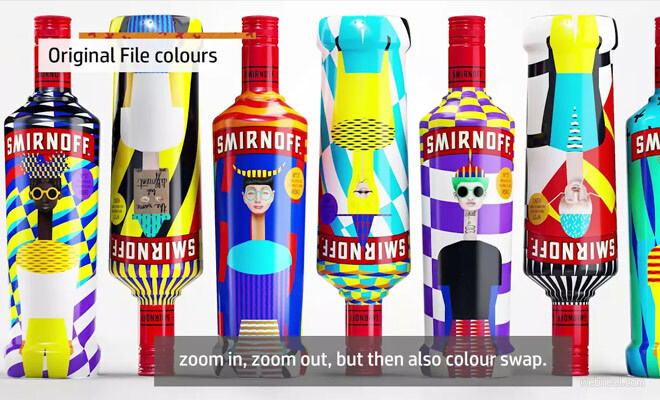 These bottle were put up for display in London at event with instructions as to how they can be easily created using the smart D4D.